Peter Pauper Press invites you to celebrate National Zoo Keeper Week, July 20-26 and a chance to win two books that celebrate zoos as well as zoo keepers and their dedication to animal care, conservation and education. What a sweet book about two kids who head out for an exciting day at the zoo but find out that all the animals are sick with various aliments. We loved the illustrations and the sweet story of all the animals often humorous aliments. Zeke the zebra lies in the shade with the flu feeling black, white and blue. 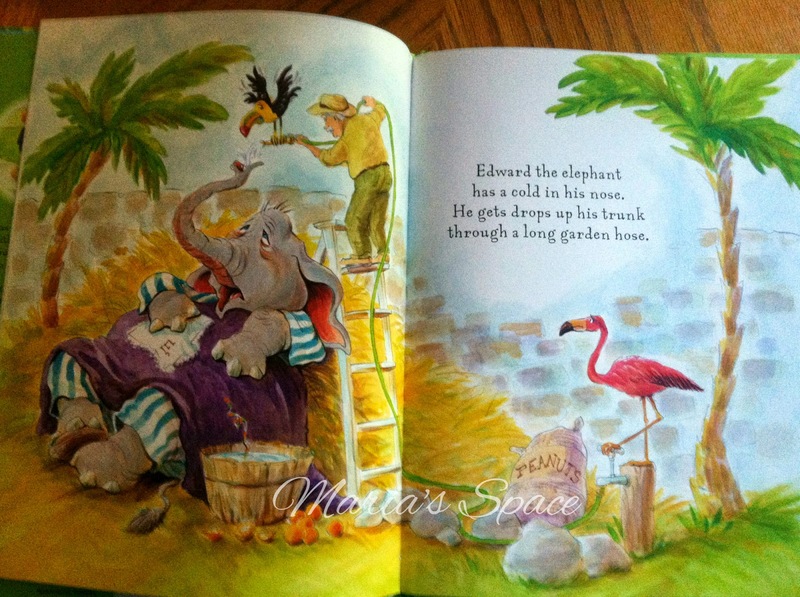 Or the elephant that gets nose drops through a garden hose. Come on that's cute and funny. My kids and I thoughts so anyway. What a fun book. Goddess took it out right away because she loved that she gets to use the wooden stylus to scrap away at reveal some awesome colorful pics of some of her favorite animals. Each page has a picture to be scratched off, some interesting facts and 20 sketch pages. I have to admit, I found it fun revealing the glitter pages beneath. Both books are wonderful but we really loved the idea of the Scratch and Sketch. 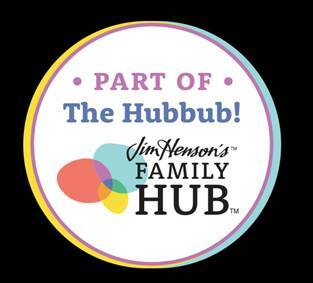 Perfect for road trips, plane trips, camping or visits to relatives where kids could use a diversion for boredom. No mess and the stylus comes with it. If you think your little ones will love these books as much as mine do, please enter for a chance to win both thanks to Peter Pauper Press. Disclaimer: We received a complimentary copy for our honest opinion. No compensation was received. My daughters would most enjoy the scratch and sketch! 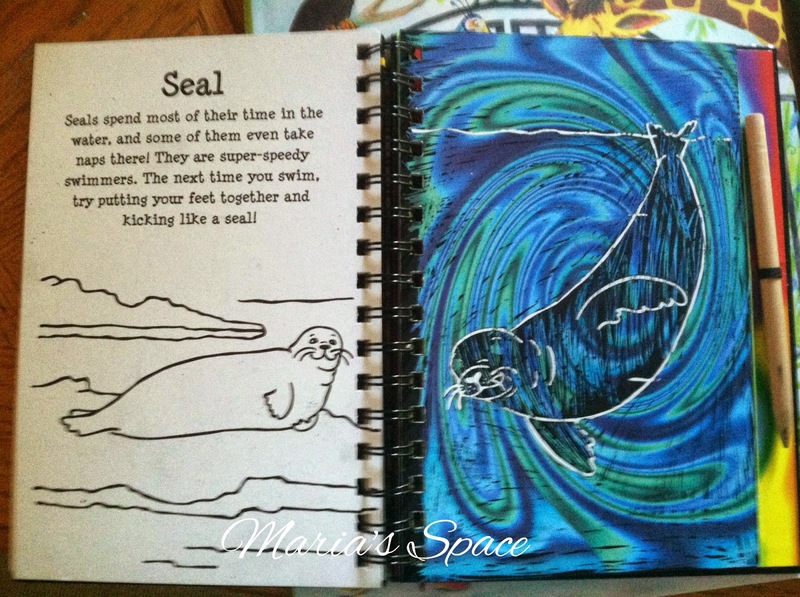 my kids would love the scratch and sketch book. 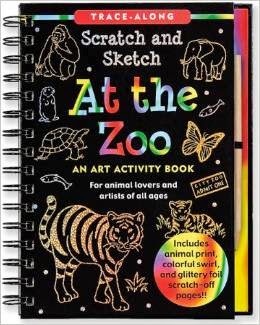 My granddaughter would love the At the Zoo Scratch and Sketch Book where she can have fun revealing animals and fun facts. 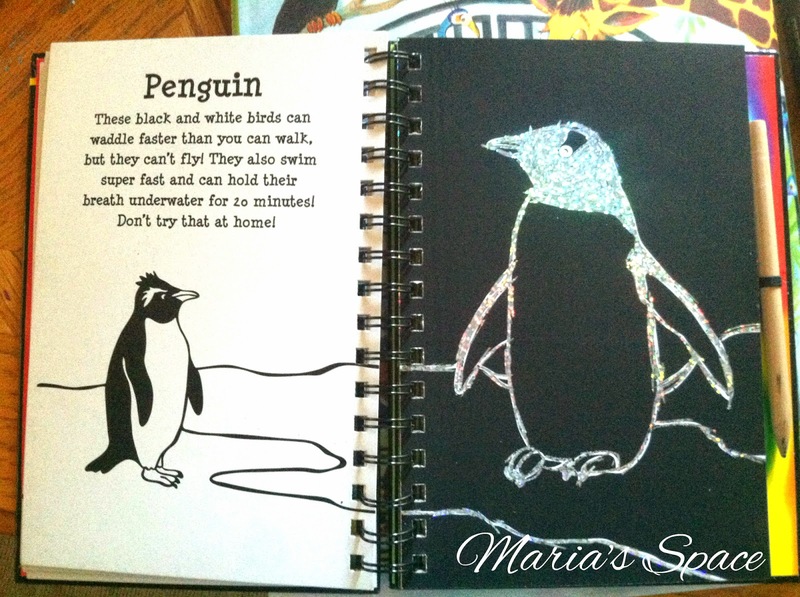 They would love the scratch and sketch book because they like to draw. 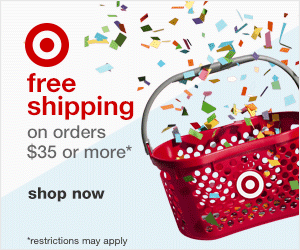 My son would love the scratch and sketch book. He loves to draw! She would enjoy The Zoo is Closed Today, she loves the zoo! My daughter is a little artist so I'm sure she'd enjoy the Scratch and Sketch book. At The Zoo Scratch & Sketch becasue she loves drawing! 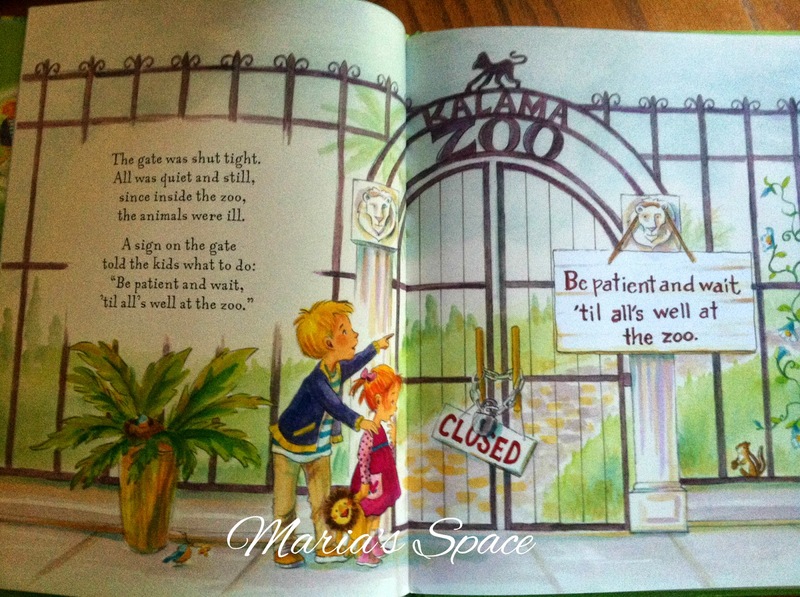 My son would love the Zoo is closed book because he loves me to read stories to him. 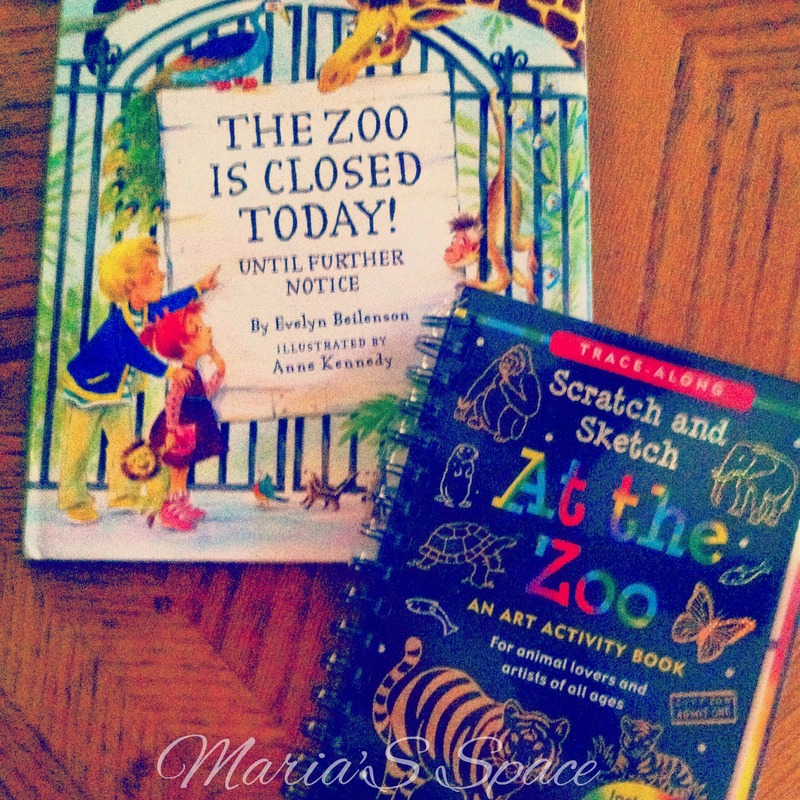 My daughter would love "the Zoo is closed today" because she loves for me to read books with animals to her, and my son would love At The Zoo Scratch & Sketch: An Art Activity Book for Animal Lovers because he loves to doodle! My niece would like the At the Zoo scratch & sketch because she likes to draw. We have seen then Scratch and Sketch in stores--she really wanted me to buy it then! 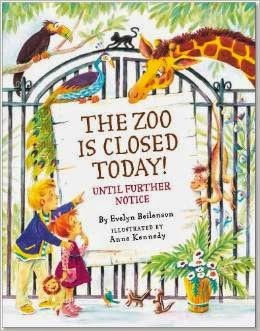 My grandson will love the "Zoo is Closed today" book because he loves to read about animals. The Scratch and Sketch book is amazing for travel- I've purchased a few in the past but have never seen this one!